Hoya incrassata has been in the trade for many, many years and for one reason or another I had never given it a try. This was an oversight on my part, as it is one of the easiest Hoyas to grow and flower. A special variegated version of this plant has been developed called Moonshadow. As a side note, I’ve heard rumors that many of today’s variegated Hoyas have been created by altering the plant’s genome using portable X-ray machines and Colchicine – a powerful poison derived from the Autumn Crocus. There is a large financial incentive to come up with these plants as customers always want the newest and the greatest. With very few exceptions, I’m not generally a fan of variegated Hoya. Hoya incrassata is native to Malaysia, Thailand, and The Philippines. I purchased a cutting of the plant from a Florida vendor to fill out an order in the summer of 2015 and it flowered February of 2016 after only around 18 months. It grows in my normal peat, bark, and perlite mix, and I keep it on the dry side. It grew and flowered completely under artificial lighting. In summing up the species, It is one of the best Hoyas for the beginning Hoya enthusiast requiring no special care. The plant grows and flowers quickly; the flowers are strongly scented of lemon. 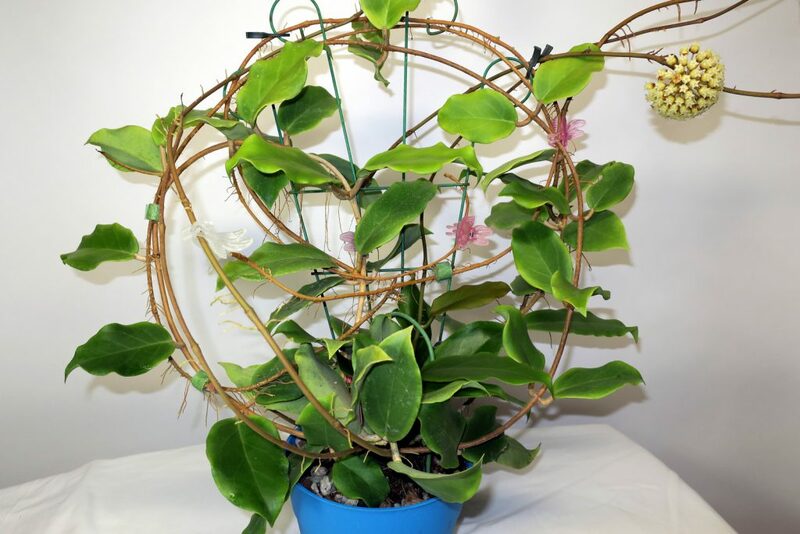 It is virtually the perfect houseplant, and receives my highest recommendation!